Come hear this great new system first at RMAF in our room #539! RMAF Special Pricing! This package includes the Dragonfire Mini Dragon Speakers ($4998), Dragonfire MD-4 Amplifier ($2998), Dragonfire SB-8P Sub Woofer ($498) Dirac Room Correction ($500, Kimber Goliath set upgrade cables ($1750), and a Griffin Button or Apple Remote ($50). 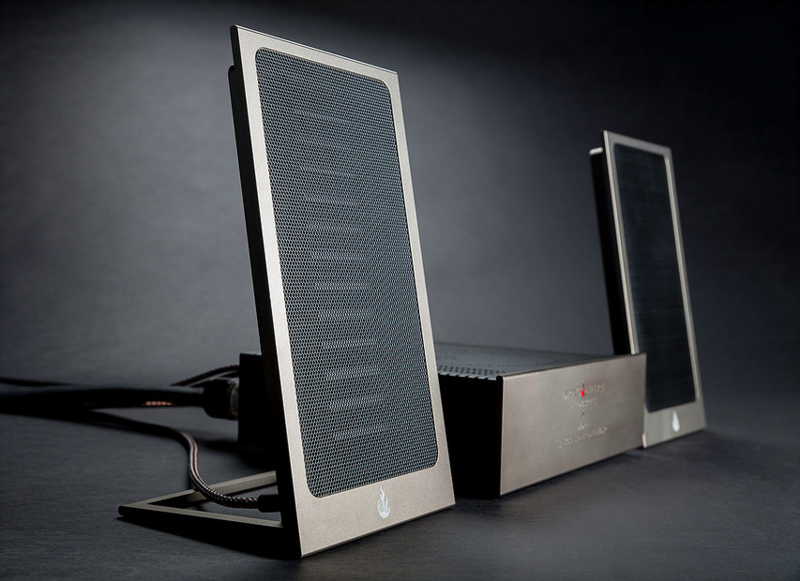 The Dragonfire Acoustics Mini Dragon DAC/AMP/DSP Speaker System is a technological breakthrough in full-range two-channel nearfield listening. The sophisticated DSP-controlled planar magnetic speakers deliver an astonishingly vivid, dynamic, full-range sound with one of the available subwoofer options. The Mini Dragon System is for stylish music lovers, sleek and elegant, housed in adjustable, collapsible, aircraft-grade anodized aluminum frames. A statement product on your office desk, a second system at home, or for mixing and mastering engineers who need unrivaled precision, accuracy, and mastery of the frequency, phase, and time domains. You won’t have to turn them up loud for full-range, full-impact sound; they’ll do that at any SPL level with spectacular sound and imaging. How so? 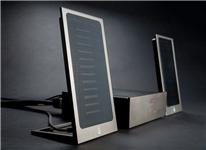 Conventional dynamic-driver speakers diffract soundwaves off speaker cabinets and nearby surfaces. The soundwaves bounce back and crash into each other causing interfering peaks and nulls. Soundwaves from a planar magnetic source coherently propagate along the axis of the originating plane – like a laser beam – interfering far less with surrounding surfaces for much less distortion. Results are more dynamic lifelike sound with spectacular imaging and soundstaging. The Mini Dragons’ planar driver is ultra-efficient and requires only a few watts to generate normal listening levels. As a purely resistive load, the DFA Mini Dragons can be driven by a wide variety of high-end audio amplifiers. For best performance, Dragonfire recommends the DFA MD-4 amplifier with built-in DAC/DSP/Crossover. The SB-8P Subwoofer seamlessly matches the Mini Dragons with tuning down to 30Hz. The bottom end is essential in setting up the size of the recording venue or one that’s mixed in. The SB-8P is self-powered with 180W on tap, cutting off at 200Hz to blend in perfectly with the Mini Dragons. The SB-8P features a long-excursion, high-speed, low-distortion woofer plus a custom long-excursion 8" passive radiator and is part of the full system price. Many people don’t realize they’re listening to their speakers and their interaction with the room. While absorptive and refractive acoustic panels are typical these days to tame splashy acoustics, Dirac's Live Room Correction Suite (LRCS) includes digital room correction so the Mini Dragons sound even better. Dirac measures the room and speakers, establishes target curves, and calculates correcting digital filters. The Dirac is supplied with the premium Dragonfire system with calibrated microphone. The result is seriously more impact, lifelike and focused imaging, with a detailed and airy soundstage that escape the boundaries of the speakers. It’s music you can feel. 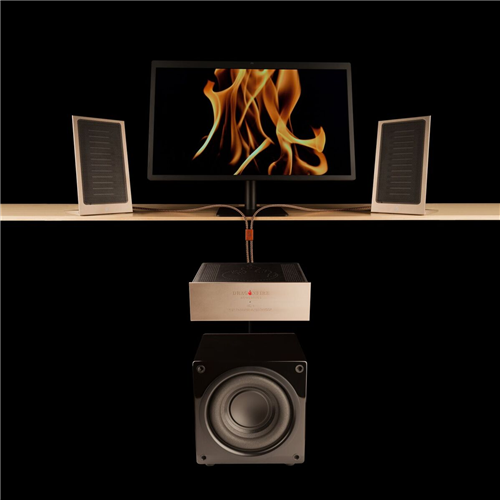 We’re confident the Dragonfire Acoustics Mini Dragon System literally defines the state-of-the-art in professional, full-range, near-field monitoring. The strongest high-temperature rare-earth Neodymium magnets are arrayed into proprietary dual-pole push-pull motor structures for a combined magnetic flux density of an astonishing 1.8 Tesla. Aerospace-grade polyamide film is mechanically drawn to less than 2-micron thickness. The film is then cryogenically-tempered, electro-conductively traced, and precisely tensioned to achieve a uniform planar magnetic driving surface. 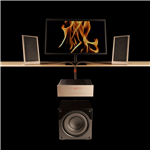 The Dragonfire Acoustics System is the result of over 40-years research and development in planar magnetic physics and design by legendary designer Dr. Dragoslav Colich. As he points out, “Dragonfire constantly innovates the underlying planar technology, improving and evolving the experience of nearfield listening.” Lovingly handmade in America, each system is carefully tested and approved before shipping.